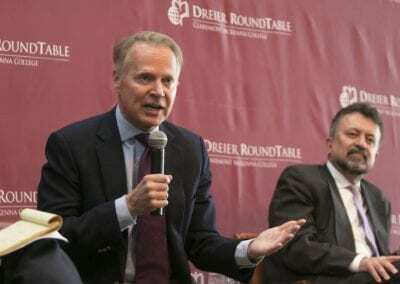 Bucking traditional Republican consensus favoring free trade and calling the North American Free Trade Agreement (NAFTA) the “worst trade deal maybe ever signed anywhere, but certainly ever signed in this country,” President Trump has made good on his campaign promise to withdraw from the Trans-Pacific Partnership free trade pact, and is currently reconsidering America’s membership in NAFTA. 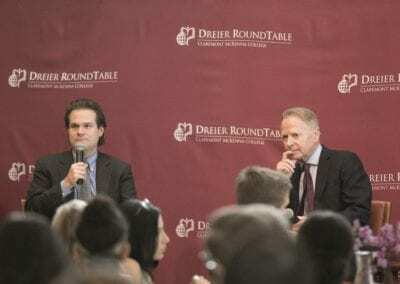 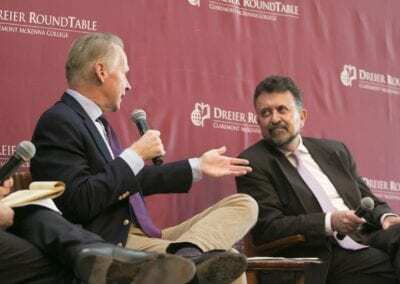 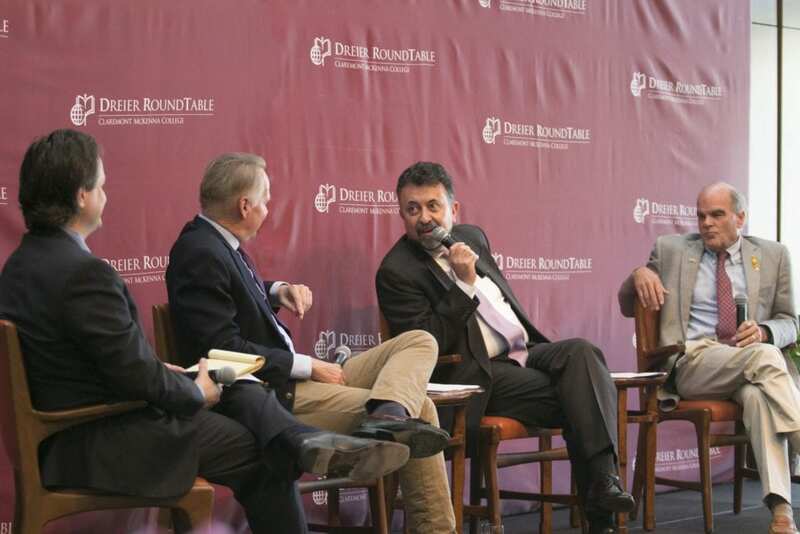 Former U.S. Representative David Dreier, a leader in the 1993 creation of NAFTA, Ambassador Carlos Garcia de Alba, Mexico’s Consul General in Los Angeles, and Roderic Camp, professor of government at Claremont McKenna, discuss the origins of the trade agreement, its contributions to North American prosperity, and its imperiled future under President Trump. Ambassador Carlos Garcia de Alba of Mexico’s Consul General in Los Angeles speaks to the current status of U.S.-Mexico relations. 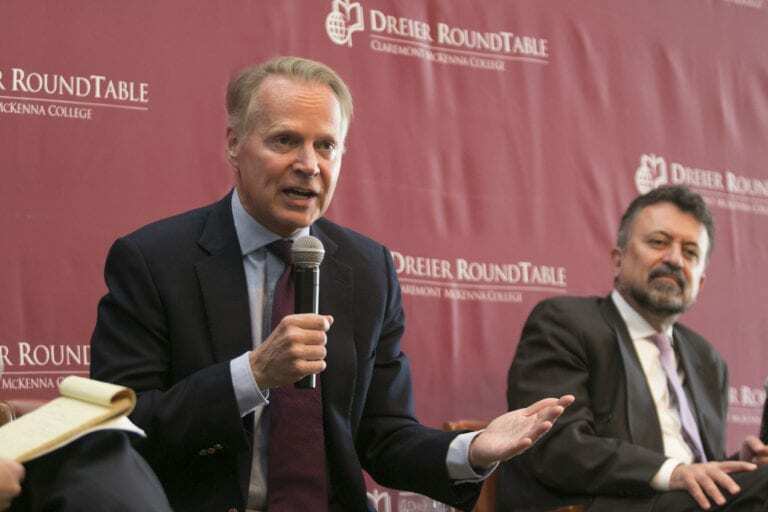 Former U.S. Representative David Dreier welcomes the panel to the Marian Miner Cook Athenaeum. 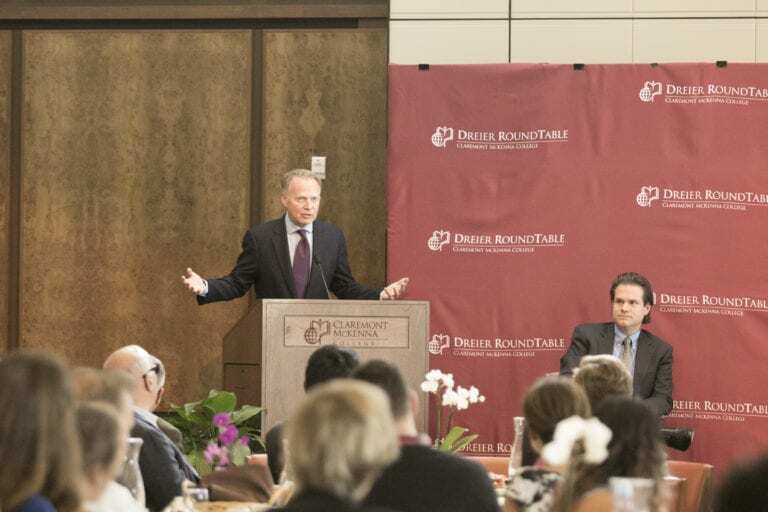 Former U.S. Representative David Dreier shares insights from his experience negotiating the 1993 NAFTA agreement. 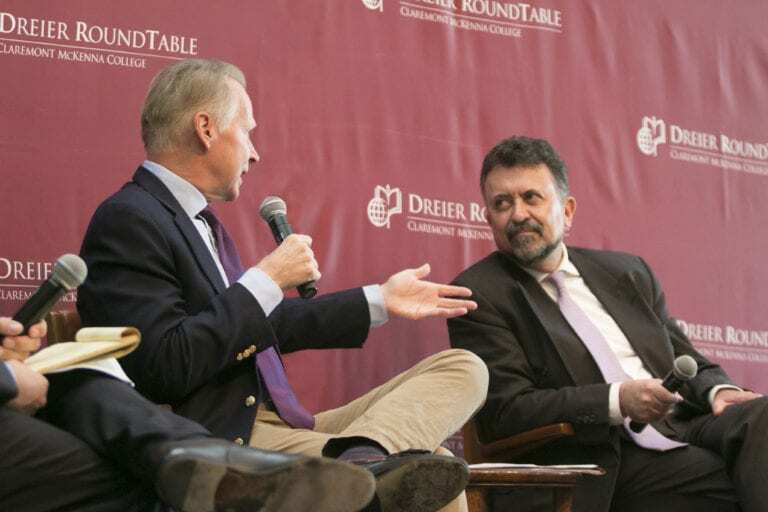 Left to right: Professor Zach Courser, Former U.S. Representative David Dreier, Ambassador Carlos Garcia de Alba, and Professor Roderic Camp. 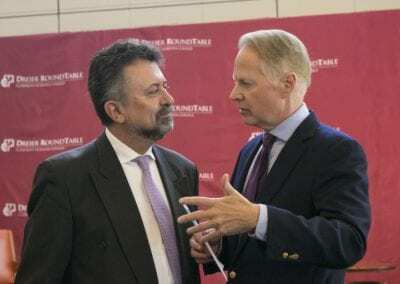 Ambassador Carlos Garcia de Alba and Former U.S. Representative David Dreier. 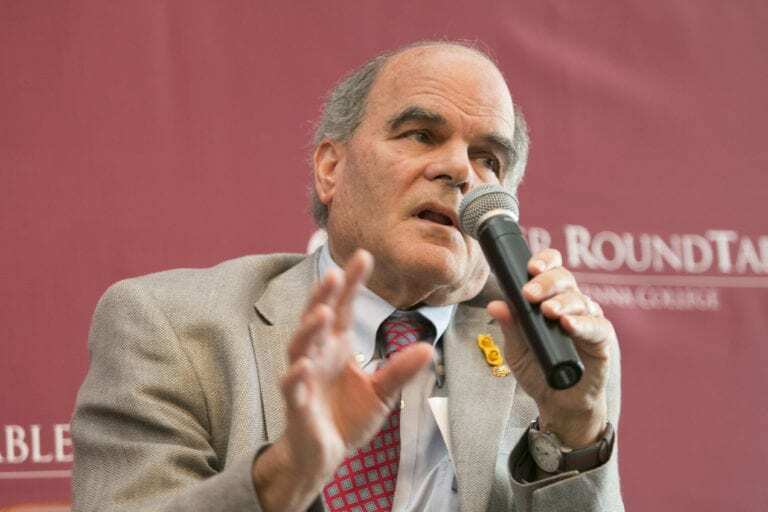 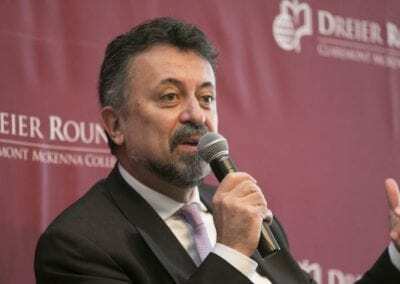 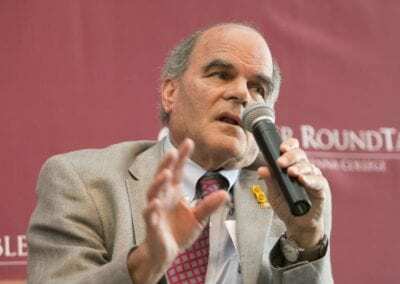 Professor of Government at Claremont McKenna College, Roderic Camp is an expert of comparative government and Mexican politics. 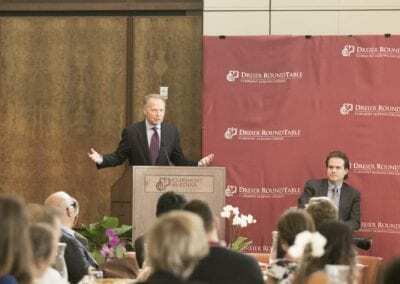 David Dreier and Ambassador Carlos Garcia de Alba discuss the possible effects of increased tariffs and barriers to trade. 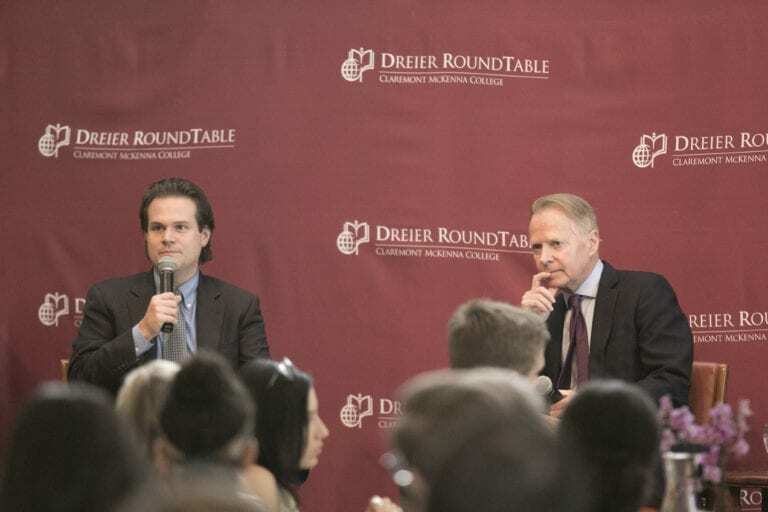 Zach Courser, Professor of Government at Claremont McKenna College, and David Dreier answer student and faculty questions. 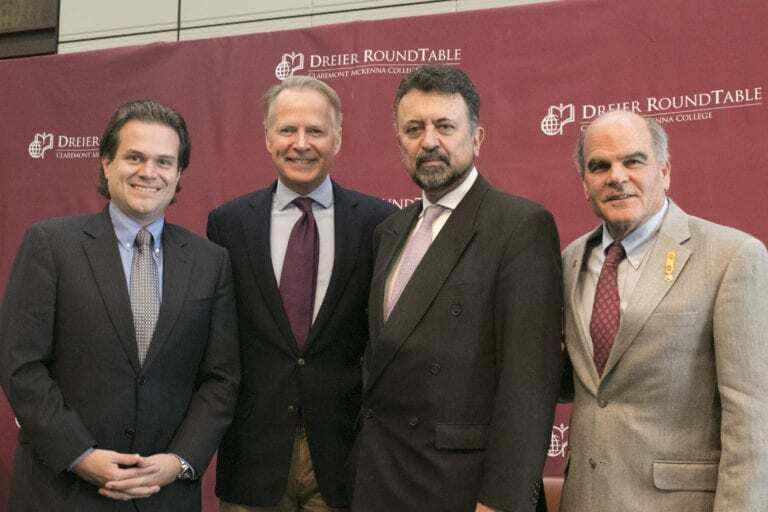 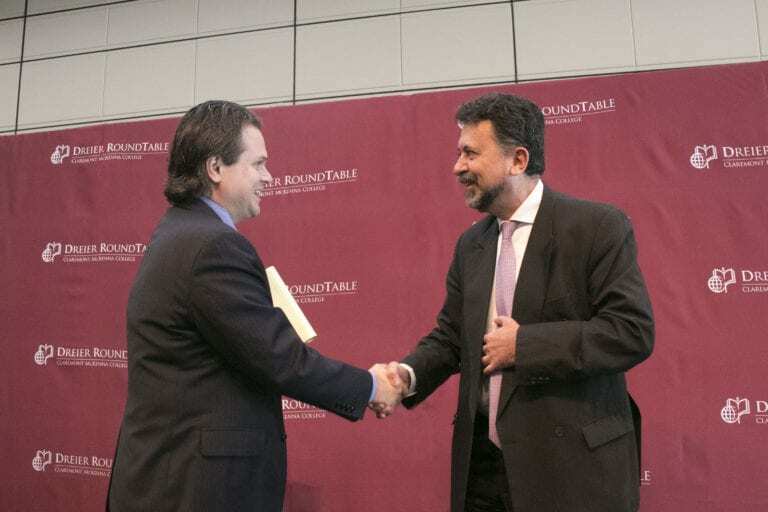 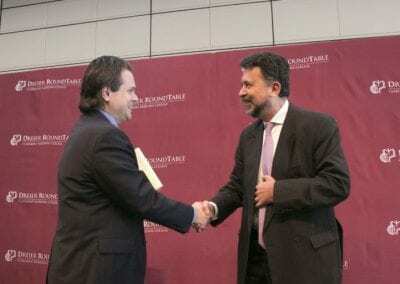 Zach Courser, Research Director of the Dreier Roundtable, thanks Ambassador Carlos Garcia de Alba.